Our Raspberry Truffle Green Tea is a scrumptuous flavored Green tea with Raspberries, White Chocolate Chips and Hibiscus Flower that will refresh you with its terrific taste! You will enjoy the Raspberry Truffle aroma and flavor again and again! Buy 1 for $9.89Buy 2 / Save $0.53!Buy 3 / Save $1.98! 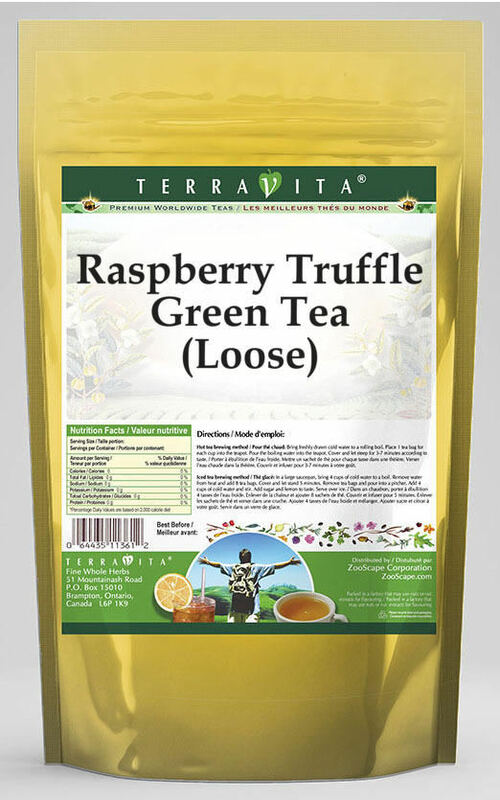 Ingredients: Green tea, Raspberries, White Chocolate Chips, Hibiscus Flower and Natural Raspberry Truffle Flavor.